So I spent a few minutes trying to figure out how on earth to change my forum profile photo... It's not an option under "Account Settings". 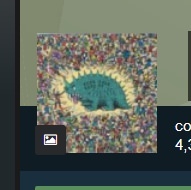 If you click on "Edit Profile", you'll get every section (Basic Info, Profile, Gaming, Social and About Me) but no option to change your profile image. Instead, you have to notice the tiny symbol (link) in the bottom-left hand corner of your current profile image, whilst on your profile page and only after clicking that do you get the option to change your image. I'd suggest having a link to this after clicking "Edit Profile" or just add the Profile Image as the top section, above Basic Info, if possible.